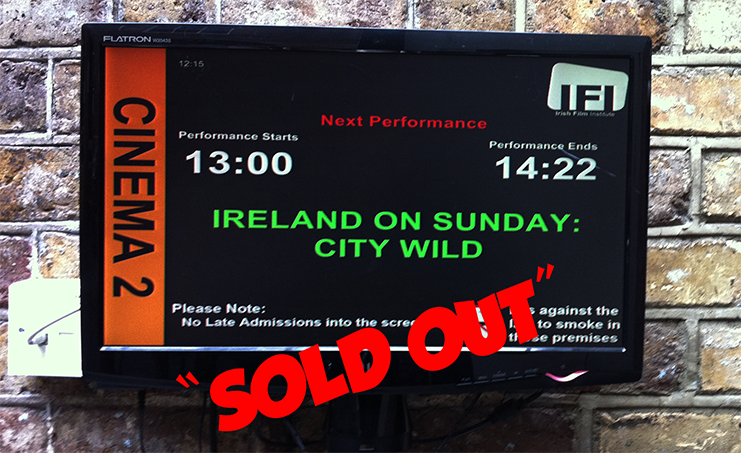 City Wild SOLD OUT at its first Irish screening. Well, what can we say? 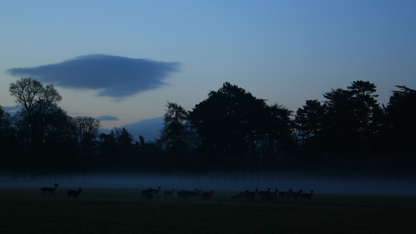 A big thank you to the Irish Film Institute and to Sunniva O’Flynn for programming City Wild as part of Ireland on Sunday. A big thank you to all the people who packed out the screening and to all of those who stayed behind for the Q&A. Over the last week we have received quite a few e-mails and calls from people who didn’t get tickets in time or got turned away on the day of the screening, all wanting to know when it will be screened again. Right now, we don’t have any confirmed dates for Irish screenings but the best way to keep up to date on future news is buy signing up to the mailing list, above in the top right hand corner of your screen. Fill in your name and e-mail address, and, as soon as we have confirmed dates for screenings, we will send you an email with plenty of warning, so you can book tickets well in advance. Also, why not like the film’s Facebook page as well? https://www.facebook.com/citywildthemovie, just to make sure you don’t miss any news. Thanks so much for all the support, we really appreciate it. Next post: We have a distributor!